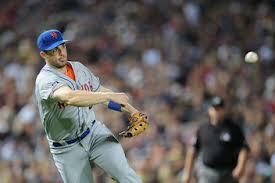 Not trying to sound biased here, but David Wright got absolutely hosed for the NL gold glove at third base. The award came down to Chase Headley vs. David Wright. Headley had the best year of his career offensively and that was definitely the difference maker as he took the award home. 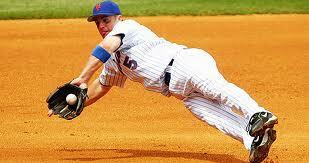 Despite having the best year of his career defensively David Wright will not take home his third gold glove. David had previously won the award in 2007 and 2008. He was definitely the favorite for the award this season after the year he had. David had some throwing issues over the past few years including some questionable side armed throws, but in 2012, that appeared to be behind him. Both Headley and Wright finished with 10 errors this season but there are more stats than just errors to determine a quality defensive player. Wright’s 15.4 UZR (defensive metrics) was nearly double that of Brewers 3B Aramis Ramirez who finished second in that stat at third base with an 8.2. Ramirez finished third behind Headley and Wright for the award. Headley actually rated as a negative defender by Defensive Runs Saved, with his work viewed as having cost the Padres three runs. In Ultimate Zone Rating, he fares considerably better (6.0) but still rates fifth-best in the NL, well behind Wright. The point is Headley is an average defender at best and won the award because his offense and fielding percentage was .003 better than Wright’s. Headley had 41 more chances at third then Wright which gave him the better fielding percentage. 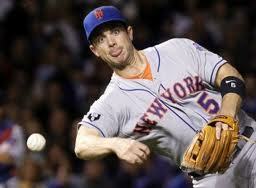 Wright may have had more difficult chances at third which reflects on the better advanced defensive metrics. The voters should have looked at more than just fielding percentage and offensive numbers. If they can’t then they need to be replaced by someone who is more competent in their voting. This seems to happen every year. Keep in mind Wright was also snubbed as the all star game starter this season for Pablo Sandoval despite having the superior numbers. Headley is a good player who had a great offensive year and he deserves the NL Silver Slugger at 3B but not the gold glove. I was a little surprised that he was even in the top three with Ramirez and Wright but in the end David had the best year of his career at third and that is extremely promising for the Mets going forward. 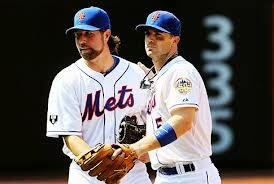 The Mets announced today that they have picked up the team options on 3B David Wright and pitcher R.A. Dickey. This was just a formality and as we have discussed on BrokeMets both are extension candidates. Wright’s option was for $16 million while Dickey’s was for $5 million. Under an extension, Wright would be making close to his annual $16 million salary just over a much longer period of time. Dickey is different as he is due for a large raise on that $5 million. 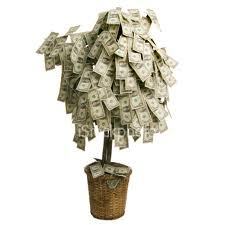 Dickey has asked for “Oliver Perez” money which was 3 years/36 million. Mets aren’t touching that and I put the odds of a Dickey extension at a little less than 50/50. If the Mets can’t get a Dickey deal done they should trade their ace right-hander. The Mets have so many holes and without much money to spend, their best chance to acquire impact talent may be through trading their star pitcher. It’s unfortunate but Dickey is in the last year of his deal, he’s 38 years old and members of the organization are skeptical that he can keep the velocity that he has on his knuckleball. If I’m the Mets I trade R.A. Dickey. 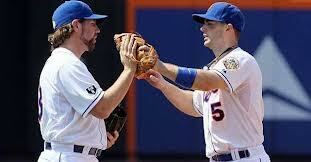 As for David Wright, he’s the face of the franchise and is still in his prime. He’s a no-brainer for a contract extension. A deal somewhere in the $120-130 million range over seven years will probably get it done. Wright is the Mets all-time hit leader and one of the greatest players this franchise has ever seen. It would be a shame to let him go during his prime. I put the odds of a Wright deal at 85%. With both Wright and Dickey the Mets have two star players but they can’t go into next season with them on the final years of their deals. 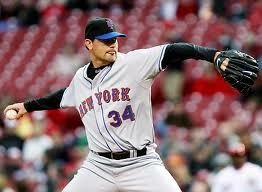 It will be too big of a distraction for the team to handle similar to Jose Reyes’ final year with the Mets in 2011. The Mets must lockup their two stars or trade them for prospects. 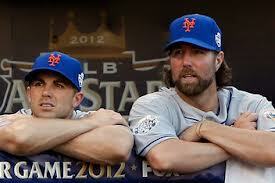 In the end I bet the Mets extend Wright but trade Dickey. The Kansas City Royals have declined their 2013 option on reliever Joakim Soria after he missed all of last season because of Tommy John surgery, making the former All-Star closer a free agent. Soria is expected to be healthy by Spring Training. The Royals chose to exercise a $750,000 buyout on the right-hander Wednesday rather than the $8 million option for next season. The Royals felt $8 million was too expensive for a reliever coming off his second Tommy john surgery, especially with their limited payroll. 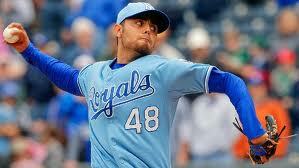 Even though Soria is a free agent, both sides have expressed interest in working out a new contract. 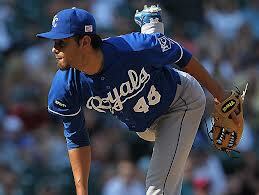 Soria began throwing again in early October and is expected to be ready by spring training. Before his injury, Soria saved 160 games for the Royals in five seasons. Soria’s past performances should make him a popular candidate on the market, but his recent injury will likely drive his price down. He’ll likely have to take a short-term deal full of incentives. That’s where the Mets come in. Here at BrokeMets we have discussed how the Mets need two outfielders, a catcher and lots of bullpen help. We have talked extensively about the outfielders and catchers but few relievers. Soria could be had on the cheap and would be an awesome closer for the Mets. Last season the Mets had Frank Francisco as their closer and that was arguably Sandy Alderson’s worst move as the Mets general manager (at least so far). Francisco will be back next season because of his contract but that doesn’t mean he has to be the closer if the Mets find a better option. Soria is definitely a better option. 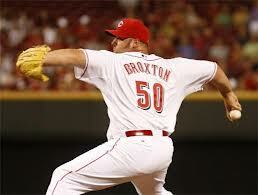 To me, this is similar to last offseason with Jonathan Broxton. The Mets had serious interest in Broxton but were skeptical in paying a reliever coming off major injury, the $3 million that coincidentally the Royals gave him. The Royals got an all-star half out of Broxton and then flipped him to the Reds for a really good prospect in left hander Donnie Joseph who could make an impact with the Royals next year. Soria or Broxton would be nice fits for the Mets next year and if they fall out of the race, quality experienced closers always can bring back a quality prospect or two. The Mets desperately need a catcher and without any catching prospects on the horizon, external options must be looked at. The trade market for catching is about as empty as it’s ever been. Other then the Blue Jays with J.P. Arencibia, its unlikely any team is willing to give up a catcher in his prime. The Mets need to look at free agency options for behind the plate. A.J. 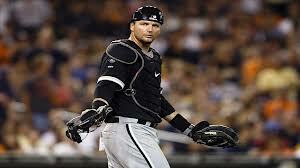 Pierzynski is getting up there in age but he would be an awesome fit. 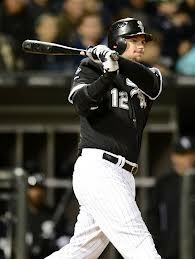 Pierzynski, who will be 36 on Opening Day, hit .278 with 27 home runs and 77 RBI in 135 games for the White Sox in 2012. He just completed a two-year, $8 million contract he signed before the 2011 season. Pierzynski was a top 5 catcher in the big leagues this season and if the Mets can sign him to a similar contract that he just finished, they would get an all-star caliber catcher while still having money to fill other needs. It is unknown how much Pierzynski would make on the open market but considering the lack of average or better catchers on the market the next few years the Mets shouldn’t hesitate to give Pierzynski multi-year contract. Pierzynski also has a strong reputation of being a quality defensive catcher. He has been working with FOX on their pre and post game shows throughout the World Series. In the end I expect Pierzynski has interest in returning to the White Sox but it’s possible that Chicago is looking to get younger like they tried to last offseason. That would allow Pierzynski to hit the open market and he should be the Mets #1 priority in free agency. These are some of the guys in the Mets price range. 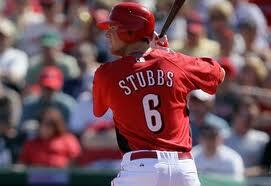 If I’m the Mets I keep an eye on Drew Stubbs on this list. He has power, speed and is a good centerfielder. The problem is he strikes out a ton and just .213 this year. That’s why he is on this list. Again thanks to mlbtraderumors for putting the time in with this list. 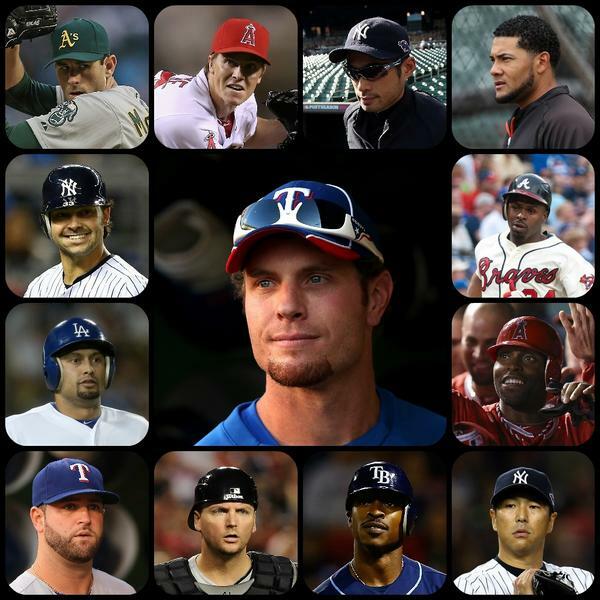 It will be interesting to see how many of these guys get non-tendered on November 30th. Most teams will attempt to trade these guys before just letting them go. Teams don’t like to let assets go for nothing. After having a tremendous year, David Wright is one of three finalists for the Rawlings gold glove at 3rd base in the National League. David Wright had a spectacular year at third, arguably the best year of his career and should be the favorite to win the award. Wright has already won the award twice in 2007 and 2008 yet I believe he has been even better at the hot corner this season. The other two finalists are the Padres Chase Headley, and the Brewers Aramis Ramirez. Wright was the only Met to be finalist from any category. The only other Mets who were solid defensively were R.A. Dickey, Ike Davis and Ruben Tejada. Dickey isn’t a finalist while Davis had such a low batting average he wasn’t considered. The gold glove is supposed to go to the best defensive player however it often goes to the player who put up the best offensive numbers at his position. For example Tejada had a much better season defensively than Zack Cozart or Ian Desmond, who are two of the finalists but because he missed some time and doesn’t have the power that those two guys have, he won’t be considered. Chase Headley put up superior offensive numbers than Wright did this season but is considered to be a much worse defender and that is what this award is all about. Wright’s competition did not finish anywhere near his total of Defensive Runs Saved. Ramirez, in one of his best defensive seasons, finished with four Defensive Runs Saved. Headley’s defense actually was viewed as having cost the Padres three runs. It appears that the award will come down to Wright vs. Headley. Headley is an MVP candidate putting up the best offensive numbers of his career but this award shouldn’t come down to offense, it’s the gold glove. 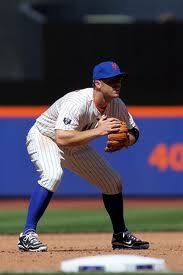 Wright was by far the best third basemen in the National League this season and deserves to be rewarded for it. Wright, after having problems throwing side arm across his body last season had the best season of his career at 3rd base. 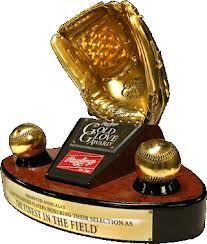 The gold glove awards will be announced on ESPN’s Baseball tonight Tuesday at 9:30p.m. on ESPN2. Major league baseball will start free agency Saturday, November 3rd, at approximately 12:01 a.m. While the Mets aren’t expected to be heavily involved in free agency due to money concerns, this date is still very important to the Mets. If a team signs a free agent, it could cause a chain reaction that would let a team be willing to trade someone else. For example in our last BrokeMets post we talked about Torii Hunter. If the Angels resign Hunter they would likely turn around and trade young outfielder Peter Bourjos. Bourjos, would be a great fit with the Mets as the teams everyday centerfielder and leadoff hitter. Expect the action to kick off quickly as teams get ready for a big trade season at the Winter Meeting during the first week of December in Nashville Tennessee. The Mets are expected to have around $5-10 million to spend this winter. That number can go up depending what players they trade from their major league roster this winter. Only time will tell.